Since 1997, Visimation Inc. has been providing custom software solutions based on Microsoft Office Visio that solve difficult business and technical problems. 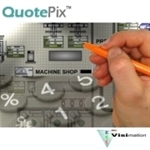 Visimation is now offering QuotePix, a low-cost generic program that generates quantity takeoffs and bill of materials reports automatically from Visio drawings. Visimation QuotePix is an add-on program for Microsoft Office Visio that provides sales people, engineers, and customers with the ability to easily generate simple estimates directly from Visio drawings. QuotePix dynamically calculates and displays quantities of the items on each Visio page. It accurately tracks what’s been added, subtracted, and changed in the system you are configuring to help verify that it meets your design criteria or customers’ needs. QuotePix generates a quote on an Excel spreadsheet tailored to your company’s branding and formatting preferences. 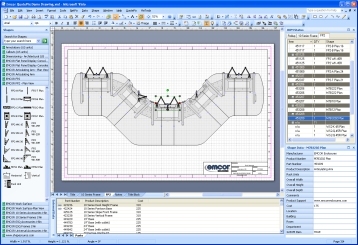 How does QuotePix work with Visio? QuotePix works with Visio 2003 and later. The program works with any stencil included with the Visio product as well as any custom stencils. When used with Visio 2007 and later, QuotePix can easily import product and pricing information from other data sources including Excel, Access, SQL, and more. 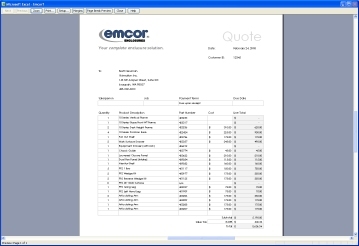 Link the data to your shapes, view the quantity take-offs, and generate a Bill of Materials (BOM) that lists the descriptions and pricing information you need. The QuotePix user interface includes a Visio menu item and Visio toolbar so it looks just like the Visio you are accustomed to… but with added features. QuotePix provides a collection of sample templates for a variety of uses and you can also create your own. Specify any type of project information such as customer, location, date, etc.